This example uses Symbolic Math Toolbox and the Statistics and Machine Learning Toolbox to explore and derive a parametric analytical expression for the average power generated by a wind turbine. 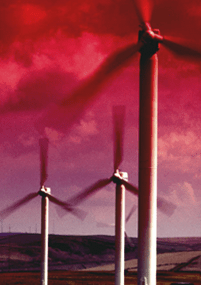 The parametric equation can be used for evaluating various wind turbine configurations and wind farm sites. More information see Wind Resource Assessment. 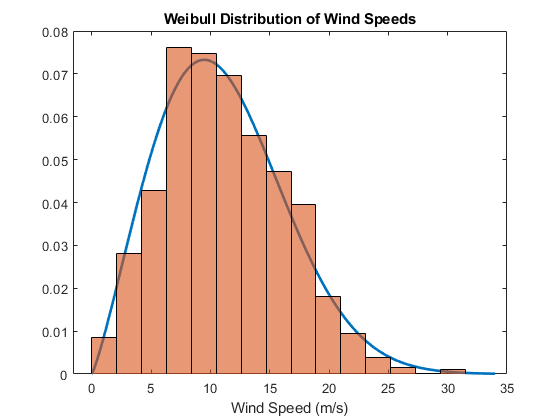 The overall efficiency is between 0.3 and 0.5, and varies with both wind speed and rotational speed of the turbine. For a fixed rotational speed, there is a rated wind speed at which electrical power generated by the wind turbine is near its maximum (Per), and overall efficiency at this point is denoted CtotR . 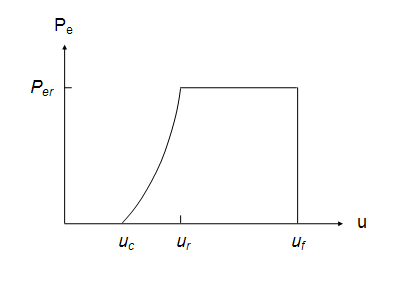 As seen in the figure, we assume that output power increases between uc and ur, then is at a constant maximum value between ur and uf. Power output is zero for all other conditions. We define a piecewise function that described turbine power. In general, larger 'a' values indicate a higher median wind speed, and larger 'b' values indicate reduced variability. Substituting the results into equation (6) yields an equation for average power output of the wind turbine. 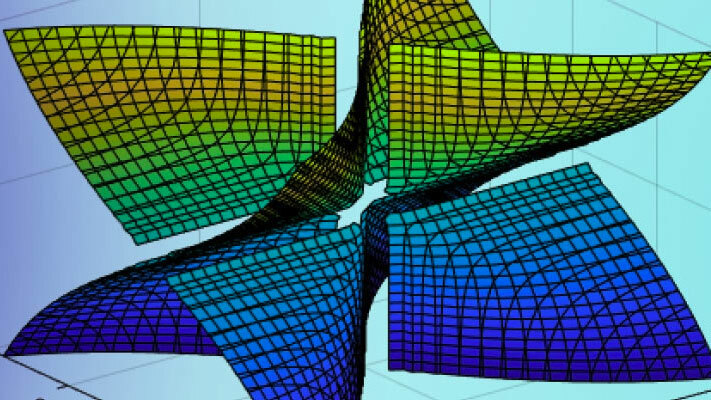 We have used the Symbolic Math Toolbox to develop a parametric equation which can be used to perform simulation studies to determine the average power generated for various wind turbine configurations and wind farm sites.